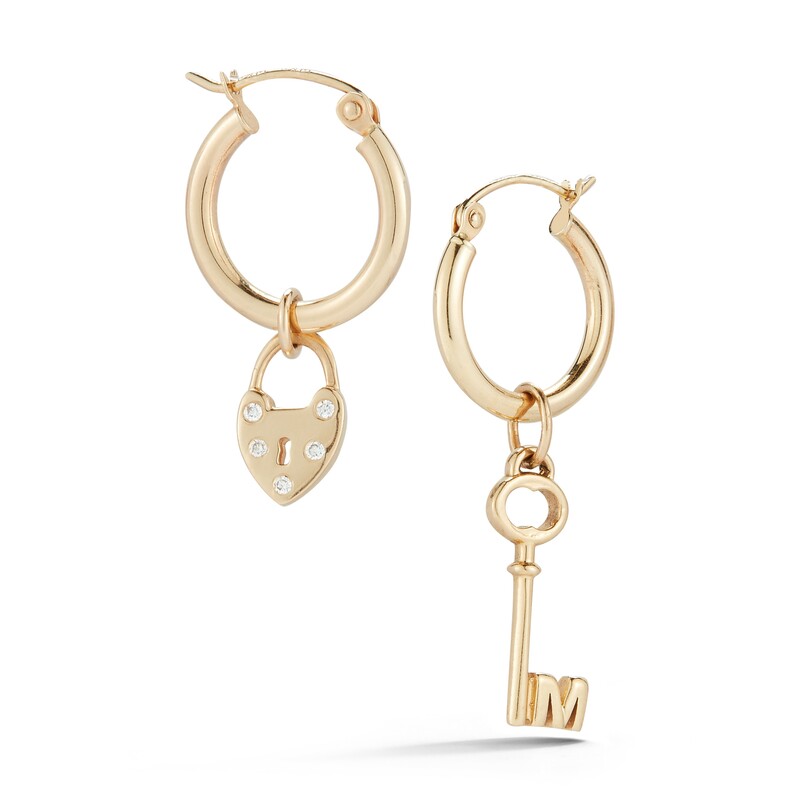 Our popular Diamond Heart Padlock and Custom Initial Key Charms are now available as a hoop set. But like all of our versatile charms, these may be removed from the hoops and worn on a necklace chain as well. We've been stacking both charm earrings along one ear and pairing them with a mix-and-match stud on the other side. Hoops diameter is just over .5"